The story of vitamin dates back to 18th century. Eating of lemons cures another disease called scurvy. In 1912, Sir H.G. 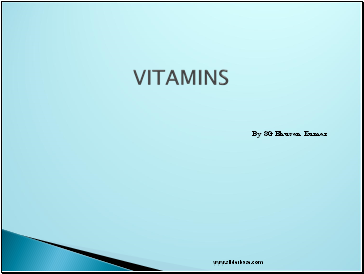 Hopkins first identified Vitamins in MILK and named it as Accessory factors. 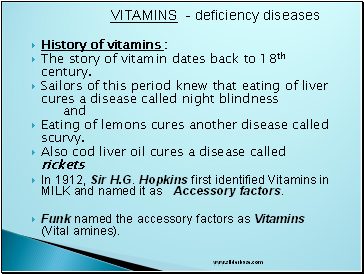 Funk named the accessory factors as Vitamins (Vital amines). 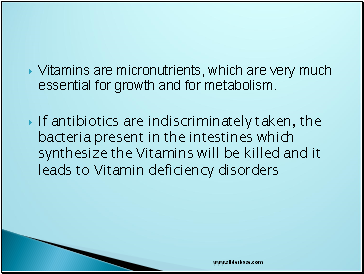 Vitamins are micronutrients, which are very much essential for growth and for metabolism. 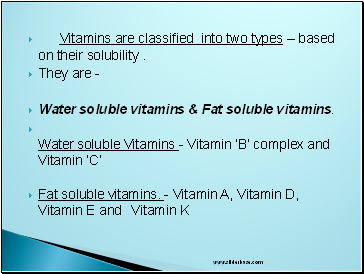 Vitamins are classified into two types – based on their solubility . 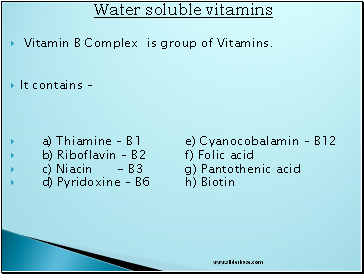 Vitamin B Complex is group of Vitamins. vomiting, tremors, convulsions, loss of appetite are seen. 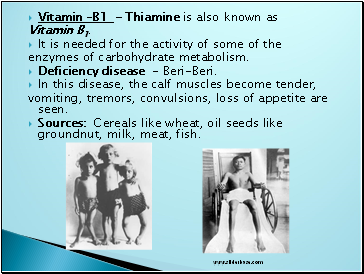 Sources: Cereals like wheat, oil seeds like groundnut, milk, meat, fish. 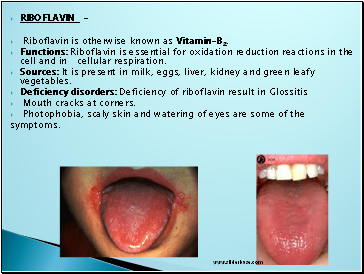 Riboflavin is otherwise known as Vitamin-B2. Functions: Riboflavin is essential for oxidation reduction reactions in the cell and in cellular respiration. 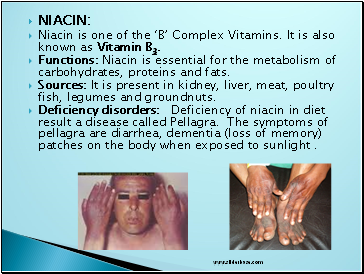 Sources: It is present in milk, eggs, liver, kidney and green leafy vegetables.